Amelia Moore, the founder of the Moore Detective Agency, specializes in missing persons. With the help of her partner, Rick Bonito, the business is flourishing. While at the beach, Amelia is approached by a woman who is concerned about the son she gave up for adoption 16 years ago. Millie has been having nightmares that make her fear he is in danger. She petitioned the court to view the sealed records but was refused. Will Amelia and Rick be able to convince the courts to help them? If her son is in danger, will they get there in time? Mystery on the Bayou by Linda Weaver Clarke is another highly enjoyable installment in the author's Amelia Moore Detective series. Amelia Moore’s Detective Agency specializes in finding missing persons. As the story opens, Amelia can't turn down a mother's request to find her son - even though the couple are on their honeymoon. So, motivated by the urgency of their new case, our intrepid couple leaves the glorious Florida beach where they had been honeymooning to travel to the bayous of Louisiana. Once there, they are quickly drawn into a murder mystery in a land crawling with alligators. Fans of the series will savor catching up with the agency's partners, Amelia Moore and Rick Bonito, as they work their latest case; and as they sweetly explore their deepening feelings for each other along with completing items on each of their amusing bucket lists. I was very pleasantly surprised to find that Amelia's and Rick's relationship had greatly progressed since the last book. In previous books, readers have been treated to memorable sojourns in Bali, Ireland, Mexico, the American West, northern Arizona and southern Utah. Even though this is the sixth book in this series, rest assured that each book can work well as a standalone if that is your preference. 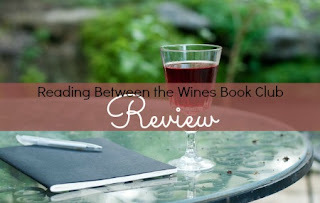 The relationship between Amelia and her partner, Rick, has been progressively developing in each installment in this series, but the author fills in whatever you might need to know to fully enjoy each book. However, if you do plan to read the entire series, it would be best to read it in order so as to fully enjoy the steady development of their relationship. Diane Lehman, Linda's talented narrator, demonstrates her mettle once again. She has capably voiced the series from the very beginning. Her voice is clear and easy to understand. She consistently differentiates between the characters and articulates them realistically. In this book, she sings multiple favorite songs and aces numerous accents. I’ve enjoyed every one of Diane’s performances and Mystery of the Bayou provides the perfect showcase for Diane’s proficiency and style! There is no doubt that that listening to this series has increased my enjoyment of the books. “Brains are third?” she said in mock disappointment. Before she could blink an eye, Rick pulled her into his arms in a waltz position. Besides the engaging romantic suspense, Linda has a knack for educating as she entertains. An easy-to-illustrate example is how Linda incorporates self-defense tips via Rick’s tutoring of Amelia in the art. I also greatly enjoy the life lessons that are shared in each of the books. 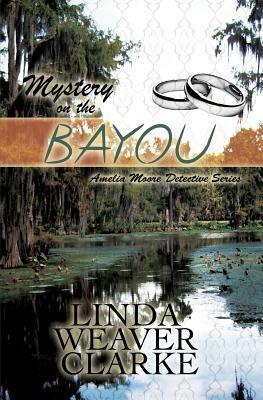 In Mystery on the Bayou, Amelia and Rick have many heart-to-heart endearing talks that are good to keep in mind. I can attest that Amelia’s Parmesan Asparagus recipe which is shared within this book is delectable! You won’t want to miss it! I thoroughly enjoyed listening to Mystery on the Bayou and recommend the series to anyone who enjoys sweet and clean romantic cozy mysteries. Now, I can’t wait to delve into the next book, The Lighthouse Secret. Rick’s father hires the Amelia Moore Detective Agency to find the truth about his brother’s suspicious disappearance. The brother, an excellent swimmer, supposedly drowned five years ago and his body has never been found.